We are glad to inform that we will participate at the Aluminum Wire & Cable Conference in Detroit, USA on July 19-20, 2016. Our Product Manager – Metallurgy, Enrico Conte, will present the paper “Sampsistemi solutions for aluminium wire and cable in automotive applications”. 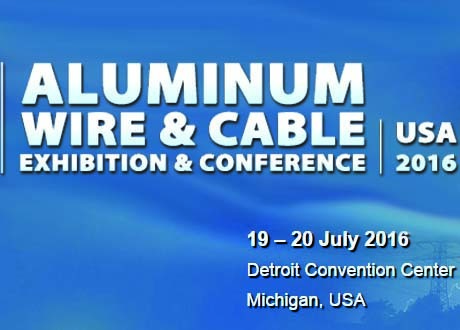 This year’s Aluminum Wire & Cable 2016 conference is set to become the world’s leading exhibition and conference exclusively for aluminum suppliers and wire and cable manufacturers, to meet and collaborate with a large array of end users, and to examine low-cost aluminum alternatives and address the specific challenges associated with replacing copper for aluminum-based wire and cable solutions for use in electrical applications.